“Before WWF-Cambodia helped us to set up the Community Protected Area (CPA) I was a farmer, cultivating rice, and now I am very happy as a member of the CPA management team”. These words were spoken with a beaming smile, by the female member of Srey Thom Community Protected Area, when the WWF team went to visit. She was 55 year-old Mrs. Sout Saren and she was an inspirational lady, charismatic and vocal, and clearly very pleased to be a member of the management team that protects her community’s natural resources. 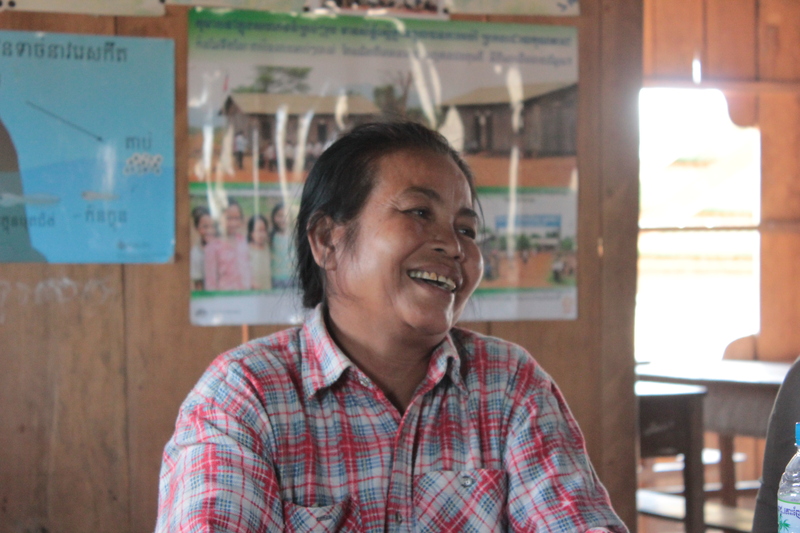 Mrs. Sout Saren lives in Srey Thom, a small village that lies within the Phnom Prich Wildlife Sanctuary (PPWS) in the Eastern Plains Landscape of northeast Cambodia. The area is home to a wide range of wildlife species and a vast area of natural forest, and as such is a prime location for WWF-Cambodia’s work. This forest landscape is also home to several indigenous communities (including the Bunong, to which Mrs. Saren is a member) who find income from the natural resources around them. This traditional way of life – living and working alongside nature – is becoming increasingly difficult for these indigenous communities as they cope with the pressures of an ever-developing and urbanizing Cambodia. “It used to be much easier to make a living from the forest. There were less people back then and the natural resources were more abundant”. Mrs. Saren told the team, whilst explaining how the indigenous communities living in Srey Thom used to be able to use what they needed from the forest without much need for management. 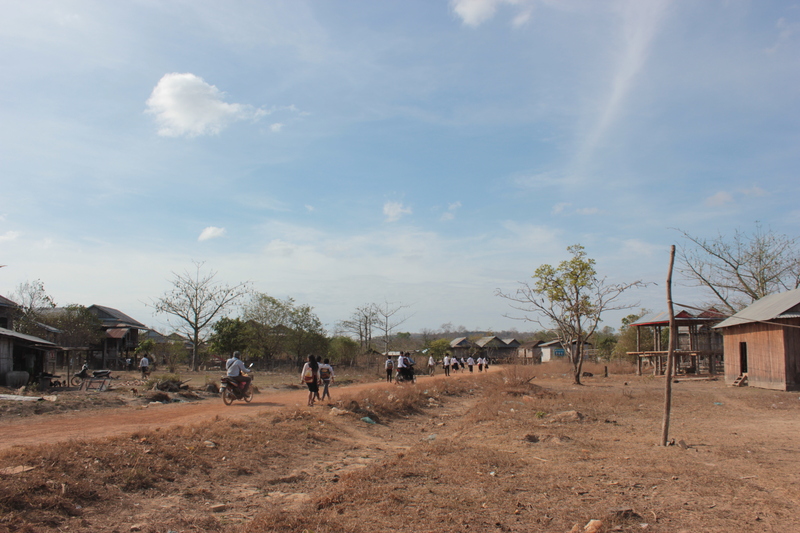 But as the Cambodian population increased and more people tried to use the finite resources found in the forests of PPWS, it became more difficult to make a living from the land. It was therefore vital for measures to be put in place to protect the livelihoods of the communities and the natural resources around them. Since 2004, when the CPA in Srey Thom was established, WWF-Cambodia has been working with the community to ensure the successful implementation of the CPA so that both people and wildlife can live in harmony. This is part of the EU-funded project, “Sustaining biodiversity, environmental and social benefits in the Protected Area of the EPL”, in which WWF-Cambodia works in collaboration with NTFP-EP, My Village, and RECOFTC to help local communities to protect their landscapes and maintain their own natural resources. A CPA is so important in an area such as Srey Thom, where natural resources are abundant. The threat of illegal activities is high, and the potential for external private investors to come in and exhaust the natural resources or wipe them out altogether has been seen all too frequently. With EU funding, WWF-Cambodia encourages the development of Non-Timber Forest Products (NTFPs) enterprise, ensuring a sustainable harvesting and an access to markets for the products collected by local communities, ensuring a supplement to their income. The CPA at Srey Thom has established a bamboo enterprise, which brings in a sustainable livelihood for its members and means that the naturally abundant bamboo is conserved. WWF-Cambodia has trained the local people in best harvesting practices and has ensured that they have a viable business plan for the future. It has also set up connections with a local Bamboo company – Bambusa Global Ventures, so that the community has a reputable and consistent buyer for their bamboo. The establishment of the CPA has also led to gained knowledge for members of the management team. Mrs. Sout Saren told us about the training workshops she had attended and the valuable skills she had learnt including gender training, harvesting techniques and management skills. But it doesn’t stop with reflecting on the work already carried out, Mrs. Saren also wanted to make it clear she had big plans for the future of Srey Thom CPA. “I am happy with the progress so far, but it has been slow. I would really like to see the establishment of an eco-tourism area to bring in money from the people visiting.” With wildlife such as elephants, banteng and gaur present in PPWS and some beautiful landscapes that are being conserved through the continued work of WWF-Cambodia, this is certainly a real possibility for the future income of Srey Thom.